We’ve got some fantastic new DVDs hitting the musicMagpie Store at the moment – here’s our pick this week! Back in the 70s, Steven Spielberg managed to put a whole nation off going swimming with Jaws. Director Juan Piquer Simon didn’t quite put people off gardening with 1988’s Slugs, but he did create one of the strangest, most entertaining horror movies ever. 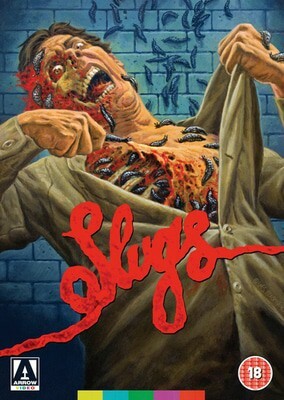 When a rural town is besieged by an invasion of flesh-eating slugs, it’s up to the world’s most unfortunate health inspector (Michael Garfield) and his assistants to fight off the mollusc menace. Unfortunately, that proves much harder than it sounds – let’s just say there are a lot of explosions. Despite the many, many warnings sci-fi has provided against contacting alien life (seriously, bad stuff happens like 95% of the time! ), humanity seems determined to get in touch with our extraterrestrial cousins. Maybe Dust of War will convince them otherwise. As the name suggests, the alien response to our request for a friendly chat was less-than-polite: they sent down loads of warriors, enslaved most of the population and turned our beautiful world into a desolate wasteland. Have they heard of manners in space? The film picks up a few years after the aliens turned Earth into their ashtray, with a chap named General Chizum (stop giggling) assuming the role of ‘supreme leader and despot’. He runs a nasty prison camp where the potential saviour of earth, a young woman named Ellie, is incarcerated. It’s up to a near-silent mercenary, Abel, and a fellow bounty hunter to save her. 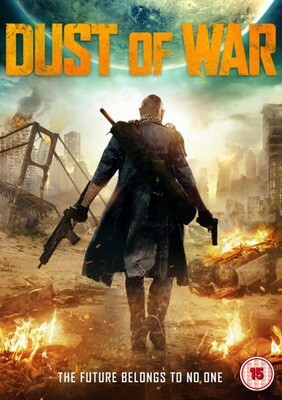 Although the plot suggests a high octane action movie, Dust of War takes time to reflect on life on a post-apocalyptic Earth. Indeed, director Andrew Kightlinger described it as “Mad Max bitchslapping Terrence Malick”, which is possibly the best tagline ever. Not to be confused with the catsuit-wearing falsetto kings of mid-00s classic rock, The Darkness is a horror movie directed by Greg McClean (Wolf Creek) and starring Kevin Bacon and Radha Mitchell. It follows the Taylors, an average American family on a delightful little trip to the Grand Canyon… until their son Michael (played by David Mazouz AKA little Bruce Wayne from Gotham) falls into an underground cavern and nicks some Native American stones which are keeping evil demons at bay. The Darkness shares a similar vibe to Poltergeist, although fans of modern horror will find plenty to enjoy (or should that be scream at?) too. Here’s another important lesson from the movies: never, ever mess with your loner neighbour. He/she is either a) really sweet or b) a total whackjob. High school friends Ethan (Logan Miller) and Sean (Keir Gilchrist) clearly didn’t get the memo, as they try to trick their “creepy psycho hermit” neighbour into thinking his house is haunted with various Paranomal Activity pranks. They even set up cameras to capture the action. 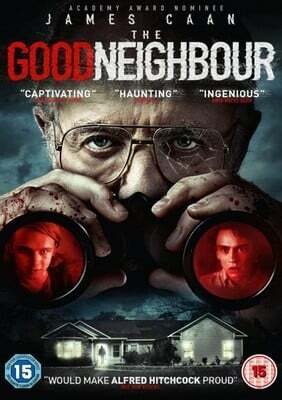 The Good Neighbour has a classic set-up but, without spoiling too much, is a lot more intelligent than your average ‘crazy neighbour’ horror. It won a lot of fans at SXSW and will undoubtedly find a cult audience over the next few months. As well as these new releases, there are 1000s more DVDs and Blu-Rays on the musicMagpie Store – all from just £1.19! Click below to start shopping.